The HTC Radar is a pretty risk-free handset. It has not got the massive 4.7-inch screen of the HTC Titan, nor is it as small as the iPhone 4S. The question is, does the Radar have anything to offer an increasing sophisticated mobile phone audience? We’ve been using one, so let’s take a more detailed look. Acer’s Iconia Tab A100 has some great redeeming features in its dinky compact chassis. That said, even the cheaper price isn’t enough of an added impetus to go out and buy it. Acer’s Iconia Tab A100 is one of the cheapest and dinkier tablets here, with a 7-inch screen that still does the job when watching movies or catching up with last night’s telly. An nVidia dual-core processor means the Iconia Tab is as adept as most tablets when it comes to playing games and messing around with apps. HD movies play with next to no stuttering and the built-in speakers are surprisingly loud, although they sound rather tinny on top volume. The 1024 x 600 resolution keeps images sharp, and you won’t get eye strain thanks to the comfortable brightness levels. The excellent viewing angles mean you can enjoy a movie with a fellow traveller without crushing your heads together. Browsing the web is a silky smooth experience, thanks to the responsive touchscreen. Pages load almost instantly over a decent Wi-Fi connection, and Flash is supported so you can enjoy BBC iPlayer and other video streaming sites. The screen is responsive to swipe and prods, although it does gather fingerprints in seconds so make sure you keep a cloth handy. Battery life is sadly less impressive. We didn’t even get through four hours of TV before the Tab died, the worst result here. However, the light and compact body means it’s still highly portable. The 13mm body is just 405g, so you can slip it into a handbag or tiny manbag without busting its seams. We liked the curved corners and swirling pattern on the rear, a welcome break from the traditional black rectangular design. via Acer Iconia Tab A100 review | T3. Google has taken the stage in Hong Kong to make the next version of Android OS, nicknamed Ice Cream Sandwich, a thing of reality. Better known as Android 4.0, the update offers a massive redesign to the user interface and adds a plethora of new features. Some of the highlights include an NFC-enabled feature called Android Beam, offline search in Gmail, new lock screen features and a fancy unlocking method called “Face Unlock,” which uses facial recognition to ensure strangers cant use your phone without permission. Ice Cream Sandwich also includes enhancements in almost every native app within Android itself. The SDK is already available for Android 4.0, and the update itself will make its first public appearance on the Samsung Galaxy Nexus, also unveiled tonight. After the break, well cover all of the nitty gritty details, along with some excellent screenshots below. So come along, why wont you? via Android 4.0 Ice Cream Sandwich now official, includes revamped design, enhancements galore — Engadget. 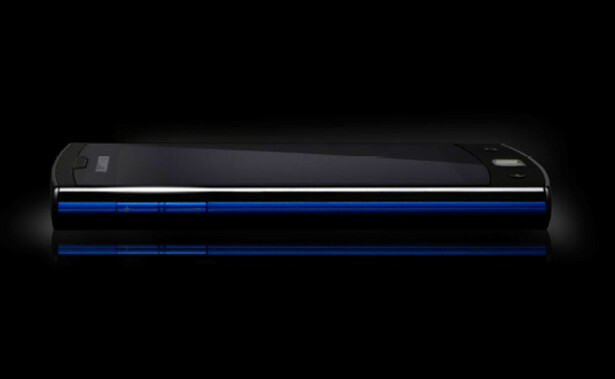 Previously known as the Motorola Spyder, new pics of the, now, Droid RAZR have been revealed on Motorolas teaser website ahead of its launch today 18 October.The phone looks to be super-thin and is rumoured to be packing a dual-core 1.2GHz processor and 1GB of RAM.If thats not getting you all hot and bothered, then theres also the possibility of an 8-megapixel camera capable of 1080p recording, as well as an HD front-facing camera. The potential specs continue to impress with a 4.3-inch 960 x 540 resolution display.It should be coming with 4G LTE on Verizon, and the kevlar backing gives it a ruffty, tuffty exterior for those of a clumsy persuasion.Even if a few of those specs turn out to be true, the new Motorola RAZR should make a bit of a splash. There is no word on a UK release at present, but well let you know if we find out any more. via Motorola Droid RAZR breaks cover – Pocket-lint. Pantech holds no punches in its home nation, where the company’s latest handset, the Vega LTE, has just become very official. In addition to 4G support, the phone features a dual-core 1.5GHz CPU, 1GB of RAM and a 4.5-inch display with a whopping 1280 x 800 resolution. Take a moment to savor that last part. Gingerbread is at the core of this large-and-in-charge beauty, which also includes an 8 megapixel auto-focus camera that captures video at 1080p, an LED flash, a 1.3MP front-facing shooter and 16GB of built-in storage. An 1830mAh battery powers the slab, which measures just 9.35mm thin and weighs 135.5g (4.8oz). Rounding out the internals, users will benefit from A-GPS, 802.11n, NFC and terrestrial DMB — that last one is specifically for the home crowd. With specs like these, we can only hope a domestic version makes its journey across the Pacific. If you’re looking for some mental exercise, a translated PR follows the break. via Pantech Vega LTE gets official for South Korea, dual-core 1.5GHz CPU and 4.5-inch HD display – Engadget. The HTC Sensation XL pushes out 4.7-inches of glorious display to fill with your Android ambitions. It’s the latest flagship phone to launch from HTC, much rumoured and leaked, and now unleashed upon the world. 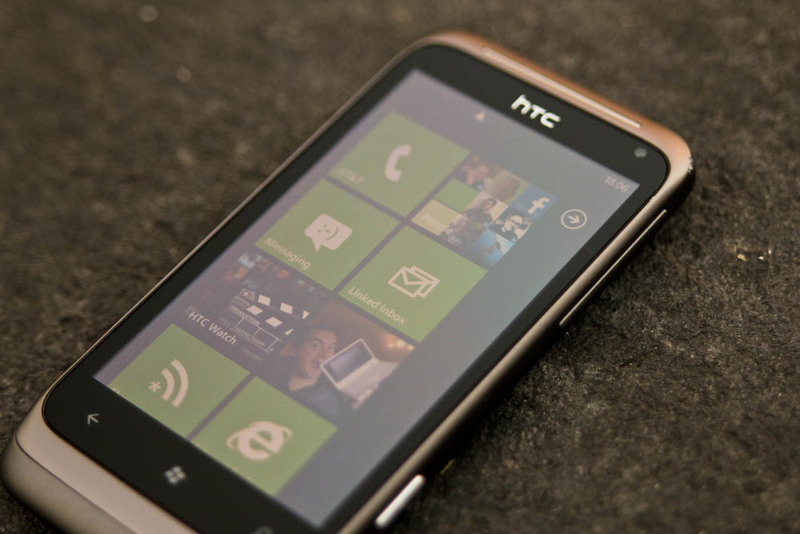 It picks up much of what the HTC Titan set out on Windows Phone 7 and effectively gives you the Android equivalent, but with a few treats thrown in. But does this phone bite off more than it can chew? Is it big and clever? We got the chance to spend some time with the phone prior to launch to bring you our first impressions. Let’s start with the design. HTC have stuck to their tried and tested approach of a machined aluminium back, with a bottom section finished in rubberised plastic to ensure plenty of reception. Like the HTC Sensation, the entire back comes away from the front, so effectively all the innards are attached to the back of that massive screen. It feels solid in the hand. There are no plastic sections to creak as you manipulate it, there are no odd panels or coloured sections. It’s just big, clean and white. But it isn’t as attractive in design as the regular Sensation which by comparison looks more sophisticated with it’s speaker cutout and contoured screen edges. The HTC Sensation XL now makes that three flagship Android handsets from the Taiwanese mobile makers. Peter Chou and his team have also once again team up with Dr Dre and Jimmy Iovine to bring Beats Audio software and headphones to an HTC smartphone and that gives this package one hell of an extra shine, but is it quite shiny enough? Lurking in the wings, as ever, is the current King of the Androids in the shape of the Samsung Galaxy S II begging the big question for any wouldbe buyer – just which one is the better phone? So, we’ve lined up these two smartphones’ spec sheets and worked it out on paper at least. It’s the HTC Sensation XL vs Samsung Galaxy S II. In terms of pure measurements, it’s the first round to the Samsung Galaxy S II. As ever, it’s all about how thin and how light a mobile phone is when it comes to something that’s going to be sitting in your pocket, weighing you down and interrupting the carefully tailored lines of your clothing. The SGS2 is a touch thinner and considerably lighter. The other possible disadvantage to the Sensation XL is that it’s physically bigger on the other dimensions as well, but that has its plus points later on, as we’ll see. We can’t think of technology much more stylish than the live tile interface of Windows Phone. No surprise then that uber minimal German designer Jil Sander has jumped on board the good ship Windows Phone 7.5 and launched a sleek little handset built by LG. Sander is well known for her extremely simple and minimalist, almost Kraftwerk-like approach to fashion, not dissimilar really to the Windows Phone 7 UI. She also has a signature blue stripe which she likes to slap on her designs, which is featured here in her Windows Phone handset. The decision to include up-to-date specs like Mango and a decent 1GHz processor is unusual for “fashion phones”; previous companies like Prada have tended to go more for looks rather than cutting edge technology. Windows Phone is nothing without a juicy sweet display for all that live tile excitement, which the Jil Sander phone appears to have. It boasts a 3.8-inch 800 x 480 display, which whilst not quite AMOLED or IPS is decent enough. On the back is a 5-megapixel camera with an LED flash and is capable of shooting 720p video. In the box you get a rather swish looking pouch for the handset as well as a “premium wired headset” with blue earbuds. There is a bundled Jil Sander app included with the phone that allows you to do things like shop and locate stores as well as browse clothing collections. via German designer Jil Sander launches Windows Phone 7.5 smartphone – Pocket-lint. the iPad to name a few, finally lost his long battle with illness. We just got some very, very sad news. 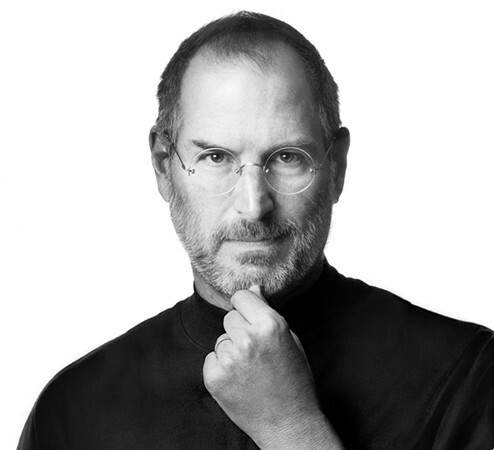 Steve Jobs has passed away. As confirmed on Apple’s site, Mr. Jobs has died at the age of 56 after recently stepping down from the position of CEO and naming Tim Cook his successor. Steve has had a profound effect on the world of technology, both at Apple and through his many other endeavors. Our thoughts go out to his family. Update: All Things D has posted a memo sent out by Tim Cook to Apple employees stating that there will be an internal celebration to honor Steve’s life soon. Those words can be found after the break, along with statements from Apple’s Board of Directors, his family, and Bill Gates. 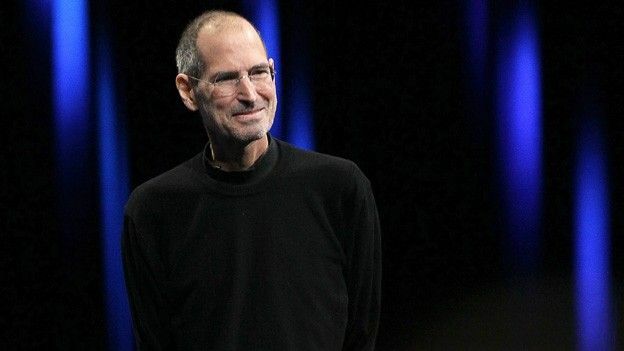 via Steve Jobs, co-founder of Apple, has passed away at 56 — Engadget.